The Aub urn South Parents Association (PA) is an integral part of ASPS and it is dedicated to enhancing the school experience of every student. Our PA is focused on making a positive contribution to the school and strengthening our school spirit by organising regular social, educational and fundraising activities. All Auburn South Primary School parents can become members of the PA. Office-bearers of the PA executive committee are elected at the Annual General Meeting in Term 4. Our PA strives to develop relationships within the school community by building and supporting ongoing relationships between home and school, other parents, the Principal, teachers, School Council and the broader community. The PA committee meets once a month and provides support to Year Level Event Teams which coordinate annual events such as the Prep Parents’ Welcome Drinks, school picnic, Mothers’ Day and Fathers’ Day events, school disco and fun run. The PA also coordinates other events throughout the school year such as Grandparents’ Day, Twilight Makers’ Market and supports the biennial Auburn South Fair. Funds raised by the PA are spent on a wide range of projects. These include the purchase of classroom and playground equipment, library books and The Teachers Across Borders program. We welcome anyone in our school community to get involved. It is such a great opportunity to meet new people, support one another and make a positive difference to our children’s school environment and experience. Everyone leads busy lives so the PA is guided by the expression, “many hands make light work”. 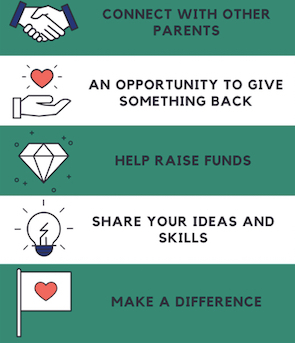 If you would like to contribute to our school community or wish to find out more about our Parents Association, please complete the form below to register your interest or send us an email at auburnsouthparents@gmail.com.